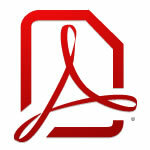 Plug-ins for Acrobat can be developed and distributed freely? regular plugins, reader-enabled plug-ins cost free? 3. Even if you are creating a dummy project you cannot load it within Adobe Reader if it is not signed (digital certificate) – it’s not passing over the handshaking step. You can do it only in Adobe Acrobat Pro and stuff. In order to have a plugin in Acrobat Reader it has to contain the digital certificate. To sign it you need to follow the integration form and wait for Adobe’s approval.